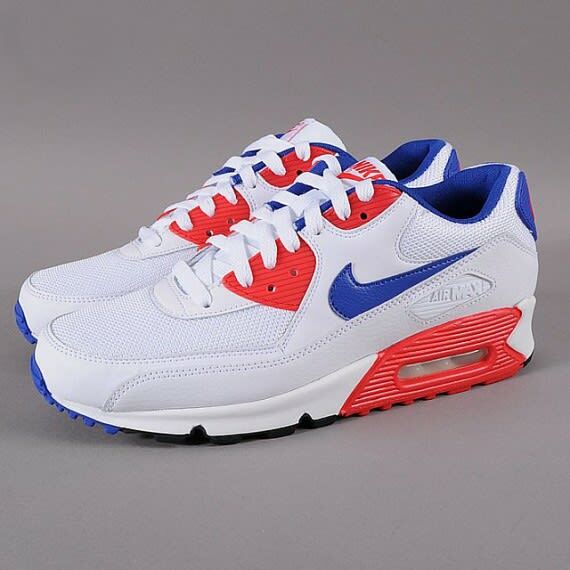 Nike Air Max 90 Essential "White/Hyper Red–Hyper Blue"
Look familiar? Well, it should — sort of. The above colorway utilized on the Air Max 90 Essential is fairly close to that of the OG Ultramarine option of the Air 180 from the Swoosh. In borrowing the look of the classic offering, NSW has paired Hyper Red and Hyper blue shading with a predominantly white build. You can find the crisp leather lows available now through select Swoosh carriers such as Queens.